I decided to put up some Malta photos together to give you an idea of our spectacular island of Malta. This will help you visualise what you can expect if you visit us. Malta in the centre of the Mediterranean sea is an island that has all the glamour to attract you. Many might think that just a small island, what might it have to offer? 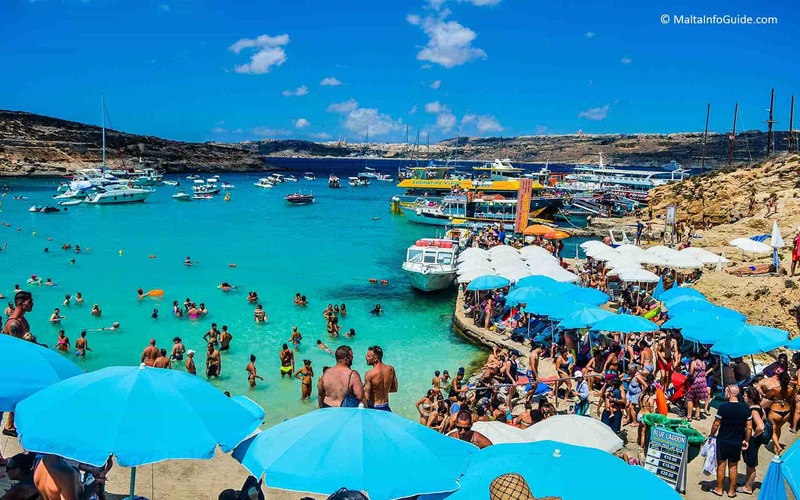 With these few photos you will get an idea of the main island Malta, Gozo and Comino. They are so different that you will need a couple of visits to see and get acquainted to. You will definitely fall in love with the islands and wish to return again. You will see photos from our pre-history, to natural beauties like the Blue Lagoon at Comino to man made marvels. The fortifications with 60 kilometres of stone walls built by hand to an incredible precision a few hundreds of years ago still standing to this day. Other beautiful photos I put are of the Grand Harbour at night, Birgu area within the same harbour and the upper barrakka gardens. They are all sites mostly visited by tourists and covered by the hop on hop off daily tours. The In Guardia Parade a colourful display of the past will attract you to visit and will take you back to the times of the Knights of St. John during the 16th and 17th century. Malta photos will take you for s short trip around the island. Enjoy! The Upper Barrakka Gardens in Valletta overlooking the Grand Harbour visited by tourists all day long provides a snapshot of many parts of Malta from this high position which overlooks the bastions. From here you can see the Saluting battery and make use of the Barrakka Lift to go down to the harbour and walk to the Cruise Liners Valletta waterfront area. The In Guardia parade an authentic re-enacted at Fort St. Elmo Valletta to remember the times when the Gran Baif used to visit the fort to check the quality and alertness of the troops. A parade, action, fire arms. Do not miss the opportunity to visit. Enjoy an incredible view of the Grand Harbour in Valletta after sunset from the Upper Barrakka gardens during the evening a quiet area where you can relax. You will also view the surrounding villages and towns. 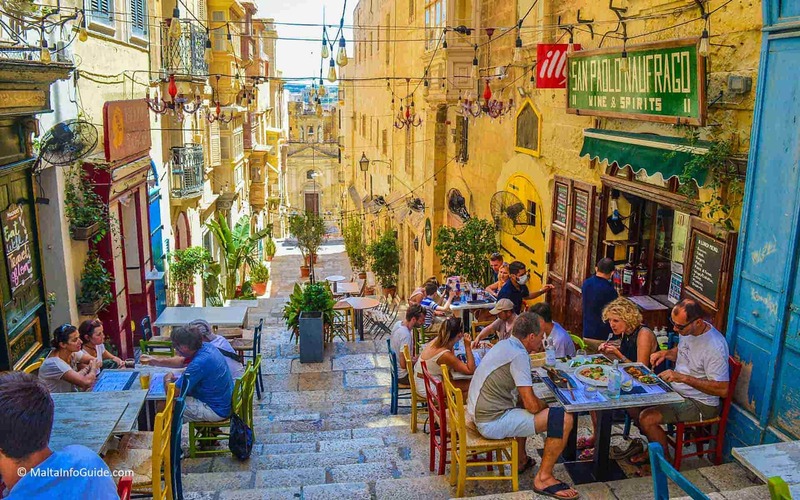 Vittoriosa is located on the south east of the island showing beautiful architectural styles, restaurants, fortifications, also residential homes. A beautiful marina is found with grand yachts. You can also Visit the maritime museum. The skyline of the capital city Valletta as seen from Sliema Ferries water front. A unique view that is photographed all day by tourists. The bastions built by the Knights of St. John have remained majestically outstanding. A cruise liner leaving the Grand Harbour late in the evening. An incredible view from various location around the harbour not only from Valletta. Or from the three cities be Birgu, Vittoriosa, Cospicua, or Kalkara. The Tarxien temples in Malta are a very well preserved archaeological ruins complex dating back from around 3150 BC to 2800 BC. They have been accepted as part of the UNESCO World Heritage Sites. There are three temples attached to each other.